With winter just around the corner, most homeowners are taking the bit of time they have left this fall to ensure everything around their home is prepared for the coming holiday season. Unless you are planning an extended vacation this coming winter, you and your family are likely going to be spending a great deal of time inside your home enjoying all of the various activities and festivities that winter brings along with it. Because you are going to be spending so much time inside your home, it is important to make sure that you are using this time now in the fall to ensure that you are taking steps to ensure you and your family’s comfort and safety over the course of the coming winter. Even though it isn’t something that a lot of homeowners give regular thought to, your indoor air quality is going to become much more important as you and your family spend more time indoors this fall and winter. If the air you and your family are breathing in this winter is heavily contaminated with dust, dirt, and other contaminants, it could actually have major impact on your health and wellness over the course of the coming season. As part of your winter prep this fall, it is definitely a good idea to do everything you can to improve the indoor air quality of your home and help you and your family breathe a little bit easier. To help you with this task, our team of professionals have taken the time to put together this short list highlighting a few of the most helpful suggestions we have gathered over the years to make sure that you and your family can breathe a bit easier this coming holiday season. With the fall weather being quite a bit more mild, and generally with less moisture in the air, it is the perfect time of year to throw open the windows and let in some fresh air. Opening your windows can be even more important when you are cleaning up around the house, as this will help you to cycle out some of that stale and contaminated air that might have been trapped in your home. Not only will this help to give your home a little bit of extra ventilation before you have to shutter everything back up as the temperatures drop, but it can also be a great alternative to running your heating or cooling system depending on the temperature that day. 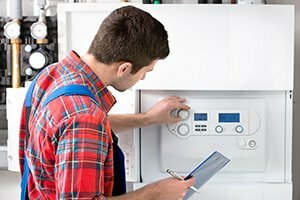 As the temperature starts to drop lower and lower in the coming months, you are likely going to find yourself having more and more regular need of your home’s furnace system, but if you haven’t had your system properly maintained during the months where it wasn’t in use, you could be setting yourself up for problems. If your furnace isn’t working properly, not only can it affect the overall comfort and efficiency of your home, but it can also prove to be a serious risk to you and your family’s safety. Taking the time this fall to get your furnace professionally tuned up will ensure that everything in your system is working like it should be, and any dirt and debris that might have accumulated over the past several months will be completely cleared out, leaving you with a furnace that is ready to keep up with your heating demands this winter. As anyone with sinus issues can tell you, when the temperature starts to drop and the air starts to get drier as we get closer and closer to winter, it can wreak havoc on your respiratory system. Low humidity might be a good thing for hair, but it can actually cause a number of issues in your respiratory system, especially if yours or anyone else’s in your home are already fairly sensitive. Dry air can actually lead to a number of different issues, including nosebleeds, cough and irritation, and it can even help germs to travel more freely through the air inside your home. To help prevent this, one of the best things you can do is invest in a humidifier to help put some of that moisture back into the air. Not only will this help to ease some of that respiratory irritation, but it can also help your home to feel a bit warmer over the coming months. 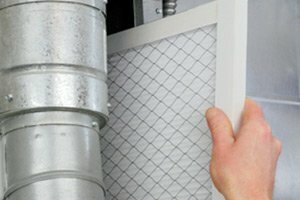 If you are looking for a professional to help you improve your home’s indoor air quality, give us a call today at 732-287-6300 or fill out our online request form. 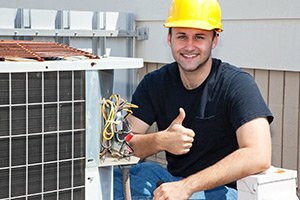 Need professional Heating or AC Service today? 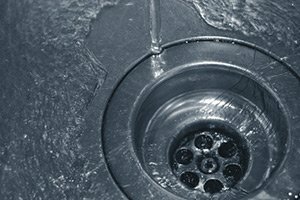 Exclusive Heating, Air Conditioning, Sewer & Drain Service LLC.